Bored of doing the same thing year after year. Have a look below, be brave, dare to be different! 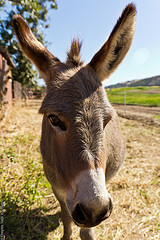 “Burro” – students are in a group of 4 or 5. They count up to whatever number you choose and down again. They can say one, two or three numbers at a time. Any student made to say a number in a particular times-table (of your choosing) gets a letter. If they spell out “burro” (donkey) then they are out. 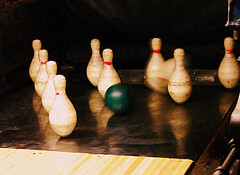 Last man standing – Sometimes called Irish Bingo. Students write down four numbers in a given range and stand up. Teacher or a student calls out numbers. If all four of their numbers are called out, the student sits down. The aim is to be the last man standing (or woman if you are being politically correct). Write either side – give students some numbers but they have to note down the numbers either side, rather than the number itself. This tests comprehension and recall. 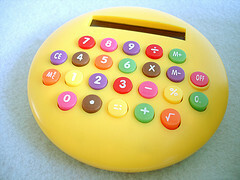 Photo Credit: StreetFly JZ via Compfight cc If M&Ms did calculators…. Sums – make them do maths. Or better still make them create sums for their partner to do. Insist that they can be as nice or cruel as they like. It generally depends on how much they like the person next to them. Ordering – possibly one of my favourites. Students put themselves into birthday order using only the TL. Teach them phrases like “to the left” or “to the right” and how to say their birthday. Do it by academic year or calendar year. It allows the July born ones to not feel quite so young! Class surveys – students go around interviewing people. Avoid them going straight for their friends by insisting that they cannot talk to people in their tutor group, or their English class, or people with the same colour eyes, hair etc. Yabba Dabba Doo!!!!!! The kids will likely have no idea what memories this song evokes but they’ll sing along anyway. It’s that bad it deserved a mention! Latin American Spanish so misses out vosotros form. Catchy and fun song. Never used this one before so I’m going to give it a whirl this year. Teaching the alphabet can be found here. If you’re already ahead of the game and looking at present tenses then try this page. Is there anything I have missed? If you can think of something then add a comment and share it with others!